Biafra, Nnamdi Kanu, is in his custody. 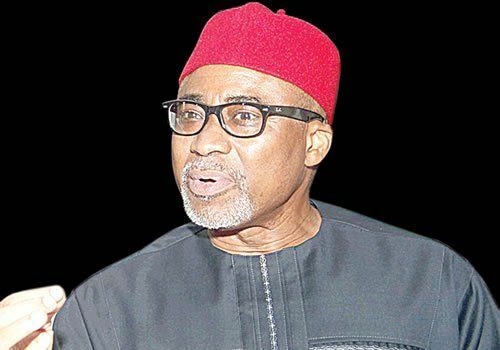 The Federal Government had earlier replied to Abaribe’s application seeking to withdraw as one of the sureties for Kanu, describing the application as too late. But Abaribe in a reaction to a question on whether Kanu was actually in his custody, said he doesn’t know his whereabouts. The Federal Government, however, stated in its counter-affidavit that Abaribe was aware that Kanu “has long violated the bail conditions handed down by this honourable court” on April 24, 2017 before September 11 when he claimed to have lost contact with the defendant. The prosecuting counsel, Mr. Shuaibu Labaran, argued in the written address that Abaribe “failed woefully” by allegedly aiding and abetting Kanu to flout his bail conditions. Abaribe, however, denied knowing Kanu’s whereabouts. “I don’t know where he is. But that is a question that will be resolved by the suit we have instituted,”.